WHO hopes to use Ebola vaccine to stem outbreak in remote area of Congo - SABC News - Breaking news, special reports, world, business, sport coverage of all South African current events. Africa's news leader. Congo reported the outbreak on Tuesday, with 32 suspected, probable or confirmed cases of the disease since April 4, including 18 deaths. The WHO is moving quickly, having been criticised for bungling its response to a 2014-2016 outbreak that killed more than 11 300 people in Guinea, Sierra Leone and Liberia. “We are very concerned and planning for all scenarios,including the worst case scenario,” Peter Salama, WHO’s Deputy Director-General of Emergency Preparedness and Response, told a regular UN briefing in Geneva. The immediate risk was to the provincial capital Mbandaka,with about 1 million inhabitants, but Congo’s nine neighbours have also been put on high alert in case the disease crosses a border, especially by river to the Republic of Congo or Central African Republic. 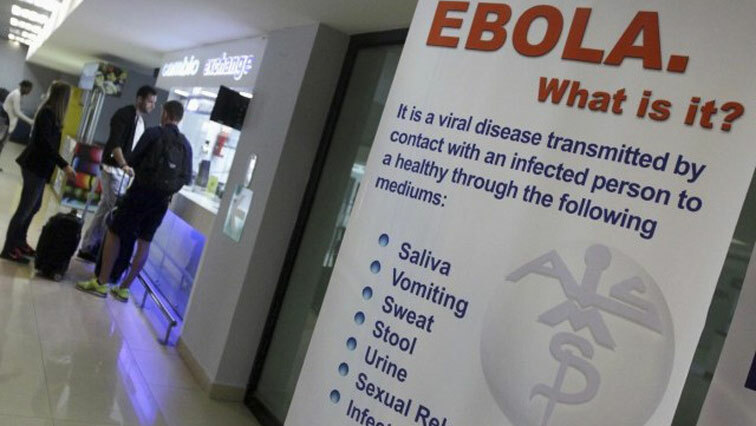 Gambia, Guinea and Nigeria have already said they are taking steps to ensure the virus does not spread, and Kenya’s Health Ministry said on Friday it would bolster screening of travellers with thermo scanners at airports. Normally a remote setting would reduce the chance of the disease spreading. But already there are three separate locations covering 60 km or more, and some of the victims were healthcare workers, potentially “an amplification factor” for outbreaks, Salama said. The local culture, with traditional healers and communal burials where there was close contact with the deceased, could cause “super-spreading” of Ebola, which kills up to 90% of sufferers, he said. This entry was posted on 13 May 2018,08:30AM at 8:30 AM and is filed under Sci-tech, Homepage Featured Story Slider. You can follow any responses to this entry through the RSS 2.0 feed. Both comments and pings are currently closed.